Arduino is an Open-Source platform for easy design and development of electronic programmable devices. It is very suitable for fast prototyping of toys, devices, as well as controlling and regulating applications without the need of advanced knowledge of electronics. The board requires no soldering, and its user-friendly environment and easy programming language allow the users to create complex electronic systems, such as high-functioning monitoring devices with varied sensors or even remote-controlled automatons. The Arduino Ethernet is a microcontroller board based on the ATmega328. 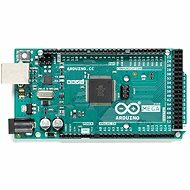 Unlike other boards, Arduino does not have onboard USB-to-serial driver chip, instead, it is equipped with a Wiznet Ethernet interface and an RJ45 connector, allowing it to be connected to any home network. Additionally, the board supports the PoE power module and it features a microSD card slot. The board also includes 14 digital inputs / outputs and 6 analogue inputs. The board also comes equipped with a controllable LED connected to the board. Other optional peripherals can be connected separately. The main advantages of Arduino are simple connectivity and easy programming. The board can be connected via Ethernet or an optional converter. The programming is done in an easy-to-use Arduino IDE environment using a Wiring-derived language. The code itself is very clear and does away with the need of complex hardware configuration. For shipping to other EU countries visit this page Arduino Ethernet Rev3 + POE Module. 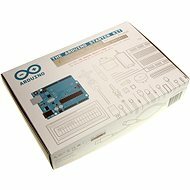 Für Versand nach Deutschland, besuchen Sie bitte Arduino Ethernet Rev3 + POE modul. Chcete doručit zboží do Česka? Prohlédněte si Arduino Ethernet Rev3 + POE modul. Chcete doručiť tovar na Slovensko? Prezrite si Arduino Ethernet Rev3 + POE modul. Für Versand nach Österreich, besuchen Sie bitte Arduino Ethernet Rev3 + POE modul. Magyarországra történő kiszállításért tekintse meg ezt a termékoldalt: Arduino Ethernet Rev3 + POE modul.